Lot:9432 Fr. 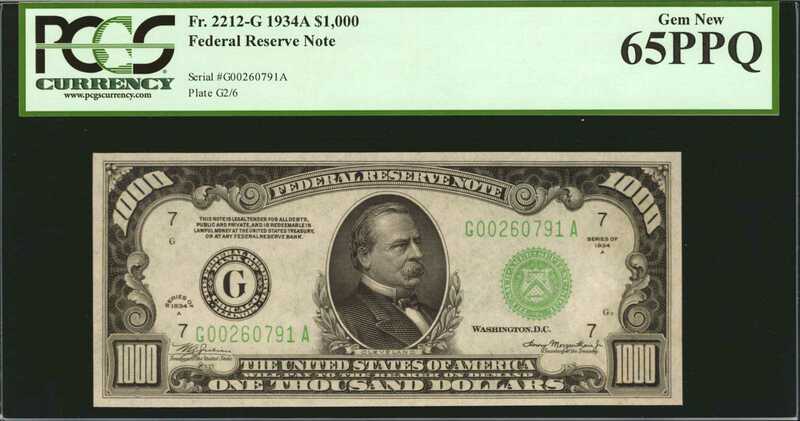 2212-G. 1934A $1000 Federal Reserve Note. Chicago. PCGS Currency Choice Uncirculated 65 PPQ.